This is an old report from 1981, but it was well documented and the physical traces were also fully investigated. It is the best confirmation yet of the technology conjecture that I made in my article titled ‘Reverse Engineering the UFO’ that I placed in Viewzone. And posted here also. I noticed in this report that we have the craft behaving exactly as a magnetic field exclusion vessel would. No thrusters are observer and it lands heavily as if it was a pilot error even though it was travelling at survivable speeds close to the ground. Perhaps the pilot was out practicing. Once he settled down, he reengaged the craft, got lift established and then tilted the craft in the direction of departure. The most important observation is that this is exactly how one would fly a magnetic field exclusion vessel. This is an important addition to the many current observations of the crafts in flight as it displays take off procedures. 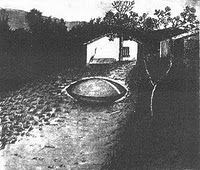 On the afternoon of January 8, 1981, a strange craft landed on a farm near the village of Trans-en-Provence in the Var region in southeastern France. Physical traces left on the ground were collected by the Gendarmerie within 24 hours and later analyzed in several French government laboratories. Extensive evidence of anomalous activity was detected. The case was investigated by the Groupe d'Etudes des Phénomènes Aérospatiaux Non-identifiés (GEPAN), or Unidentified Aerospace Phenomena Study Group, established in 1977 within the National Center for Space Studies (CNES) in Toulouse, the French counterpart of NASA. (The functions of GEPAN were reorganized in 1988 into the Service d'Expertise des Phénomènes de Rentrées Atmosphériques or SEPRA). The primary investigator was Jean-Jacques Velasco, the current head of SEPRA. The witness was the farmer Renato Nicolai, 55, on whose property the UFO landed and then took-off almost immediately. Thinking that it was a military experimental device, Nicolai notified the local gendarmes on the following day. The gendarmes interviewed Nicolai and collected soil and plantsamples from the landing site within 24 hours of the occurrence, notifying GEPAN on January 12 as part of a cooperation agreement for UFO investigation between the two agencies. Further collection of samples and measurements of the site were undertaken by the GEPAN team, and the samples were thoroughly analyzed by several government laboratories. The first detailed report on the case was published by GEPAN in 1983 in its "Technical Note No. 16, Inquiry 81/01, Analysis of a Trace." 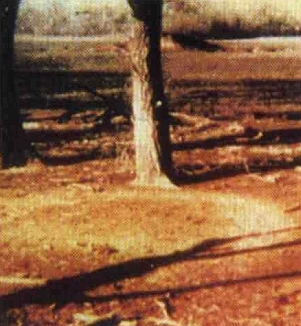 A celebrated physical evidence case occurred on January 8, 1981, in Trans-en-Provence, France. The case attracted widespread interest, partly because a UFO was seen landing and physical markings found shortly after it departed, but mostly because a French government agency analyzed the samples and announced anomalous results. The actual sighting was brief, but its effects on the environment were the key aspect of the event. A 52-year-old technician, Renato Nicolai, was outside working on an upper-level terraced portion of his property at about 5:00 p.m. when he heard a whistling sound to the east. Turning, he observed an object resembling "a somewhat bulging disk like two plates glued to each other by the rim, with a central ring some 20 cm wide." The disc passed over two trees adjacent to Nicolai's garden, descended, and abruptly landed about 50 meters away. Because his property was elevated, however, the object was blocked from his view, and Nicolai was obliged to seek a vantage point near a small outbuilding where he could look down on the object. After some seconds on the ground, the object ascended, kicking up some dust, and retraced its incoming flight path, once again emitting a low whistle, and disappeared in the east. As it flew away, Nicolai saw two round protrusions on the underside like landing gear, and two circular areas that looked like "trap doors." The total elapsed time was 30-40 seconds. Nicolai went to inspect the landing site and found a circle about 2 meters in diameter with tracks or traces at certain spots on the circumference of the circle. Investigators described findingtwo concentric circles about 10 cm wide, one 2.2 meters in diameter and the other 2.4 meters in diameter. The next day, after having been notified by a neighbor, the Gendarmerie arrived at the scene and gathered samples of the traces and control samples from outside the circular area. Ultimately, Groupe d'Etude des Phenomenes Aerospatiaux Non-ldentifies (GEPAN) -- a unit of the French space agencyorganized to investigate UFO reports -- was called in by the Gendarmerie, and some days after the landing they examined the site, collecting additional soil and vegetation samples for analysis. Their investigation also included an assessment of the witness (his background and story), a check of atmospheric conditions at the time of the UFO encounter, and air traffic on the day in question. GEPAN, in conjunction with the Gendarmerie, continued its investigation over the course of the next two years. 1. Evidence indicates a strong mechanical pressure on the ground surface, probably due to a heavy weight, of about 4 to 5 tons. 2. At the same time or immediately after this pressure, the soil was heated up to between 300 and 600 degrees C.
3. Trace quantities were found of phosphate and zinc. 4. The chlorophyll content of the wild alfalfa leaves in the immediate vicinity of the ground traces was reduced 30 percent to 50 percent, inversely proportional to distance. 5. Young alfalfa leaves experienced the highest loss of chlorophyll and, moreover, exhibited "signs of premature senescence." "My attention was drawn to a small noise, a kind of little whistling. I turned around and I saw, in the air, a ship which was just about the height of a pine tree at the edge of my property. This ship was not turning but was descending toward the ground. I only heard a slight whistling. I saw no flames, neither underneath or around the ship. "While the ship was continuing to descend, I went closer to it, heading toward a little cabin. I was able to see very well abovethe roof. From there I saw the ship standing on the ground. "At that moment, the ship began to emit another whistling, a constant, consistent whistling. Then it took off and once it was at the height of the trees, it took off rapidly... toward the northeast. As the ship began to lift off, I saw beneath it four openings from which neither smoke nor flames were emitting.The ship picked up a little dust when it left the ground. "I was at that time about 30 meters [100 feet] from the landing site. I thereafter walked towards the spot and I noticed a circle about two meters [7 feet] in diameter. At certain spots on the curve of the circle, there were tracks (or traces). "The ship was in the form of two saucers upside down, one against the other. It must have been about 1.5 meters [5 feet] high. It was the color of lead. The ship had a border or type of brace around its circumference. Underneath the brace, as it took off, I saw two kinds of round pieces which could have been landing gear or feet. There were also two circles which looked like trap doors. The two feet, or landing gear, extended about 20 centimeters [8 inches] beneath the body of the whole ship." "Traces were still perceptible 40 days after the event. "There was a strong mechanical pressure forced (probably the result of a heavy weight) on the surface. "A thermatic heating of the soil, perhaps consecutive to or immediately following the shock, the value of which did not exceed 600 degrees. "The chlorophyll pigment in the leaf samples was weakened from 30 to 50 percent... The young leaves withstood the most serious losses, evolving toward the content and composition more characteristic of old leaves." "The action of nuclear irradiation does not seem to be analogous with the energy source implied with the observed phenomenon; on the other hand, a specific intensification of the transformation of chlorophyll... could be tied to the action of a type of electric energy field. "On the biochemical level, the analysis was made on the entirety of the factors of photosynthesis, lipids, sugars and amino acids. There were many differences between those samples further from the spot of the landing and those that were closer to the spot. "It was possible to qualitatively show the occurrence of an important event which brought with it deformations of the terrain caused by mass, mechanics, a heating effect, and perhaps certain transformations and deposits of trace minerals. "We cannot give a precise and unique interpretation to this remarkable combination of results. We can state that there is, nonetheless, another confirmation of a very significant event which happened on this spot." 0-3 secs Witness first sees the object which appears to be above two tall conifers approx 35 m from the impact point. Distance estimate is based on map and statement that the cabin is 35 m away from impact point; comparison of that distance on the map with the distance to the tree suggests an additional 35 m to the tree. 3 secs Object strikes the ground with a sound like a stone falling. The motion from the trees to the impact point is fast and continuous. Assuming the distance from the impact point to be 35m for the top of the tree, and assuming the altitude to be above the tree (stated to be "dozens of meters high",); because of the error in translation, resolved to 10 m, we take 10 m as the altitude of the object; the distance traversed between first sight and impact is therefore 14 m.
The deceleration based on a 3 second time to cross this distance is -0.32G from a speed of 34 kph. According to Velasco, an upper limit to the weight based on the ground trace is 700 kg. To accomplish the noted deceleration at that weight would require a thrust of 7,171 kg. 4-25 secs Object is on the ground and the witness is continuing to move to a new location. Assuming 8 secs to walk 10m (a reasonably brisk walk), walking 30 m takes 24 secs, of which it is assumed 1-2 secs are used while object is descending, since the report refers to "while it was continuing to come down, I went closer by walking". 25-28 secs Witness observes the object on the ground. According to the statement: "several seconds"; also, "From that position I clearly saw the device resting on the ground." 28-35 secs Object lifts from the ground, tilts, and departs. Altitude appears to be that of the tops of the trees, here estimated to be 10 m ("it lifted off... reaching a point above the trees, it left at high speed"). It took from 1-3 secs to accomplish this. If it took 3 sec, then it accelerated at approximately 0.45 G for 1.5 sec to 5 m and then decelerated at -0.45G to 10 m; the thrust required in the acceleration phase is 10,204 kg assuming a 700 kg weight. If it took 1 sec, it accelerated at approximately 4G for 0.5 sec to 5 m and then decelerated at -4G for 0.5 sec to 10 m; the thrust required in the acceleration phase is 91,840 kg, assuming a 700 kg weight. The GEPAN account differs somewhat, claiming "it rose vertically over several meters, tilted above the platform, continued to rise in this position and disappeared in the sky." Hopefully "several" is 10 or so. The trace was found by the witness immediately after the departure of the object. The trace was circular, 2.4 m in diameter, and had the form of a ring, 0.2 m in width (it is claimed that there is a "crown" to the trace which is only 0.1 m in width. Note that the witness reported the object surrounded by a shelf approximately 0.15 m in width. Photographs show the trace as lighter in color than the surrounding dirt. Vegetation remains (leaves and sticks) from the edges of the path where the object landed are seen to cross the trace (as of the next day). There does not appear to be any preferential orientation for this material, nor does it appear affected by pressure or heating. In combination, this indicates the possibility that either a) the force which produced the trace had no outward and no inward components, or b) the material was swept back over the trace either at or after the object departure. Note that the witness mentioned the object's departure as having raised some dust. The soil of the trace is lighter than neighboring soil, appears to be slightly raised or crusty, and bears radial striations. These striations are not perfectly radial, but are slightly curved in a clockwise direction, and are slightly irregular. The trace ring shows these formations most prominently on the directly east and west sides of the ring. The north side of the trace shows a slightly lower degree of the same effect. The width of the ring as photographed and diagrammed shows no notable deviation, nor does the circularity of the ring show any notable deviation. - GEPAN - "Technical Note No. 16, Inquiry 81/01, Analysis of a Trace"
The Trans-en-Provence UFO observation lasted under a minute. However, in that minute, information was gained by an alert witness and extracted by focused and experienced investigators which allow an analyst to form and validate hypotheses about the nature of the object. The Trans-en-Provence UFO was able to dissipate considerable kinetic energy without affecting the ground beneath it. This may have resulted in the observed "whistling" sound, which indicates a motion of air away from the object. The object was then able to create close to 600 degrees C of ground heating on departure, despite the apparent insufficiency of mere thrust pressure to produce those temperatures. It then departed after tilting, and did not produce any further effects on the environment at that time. Many previous observations have indicated that the UFO rim is a source of energetic phenomena. The Trans-en-Provence case continues to support that pattern.